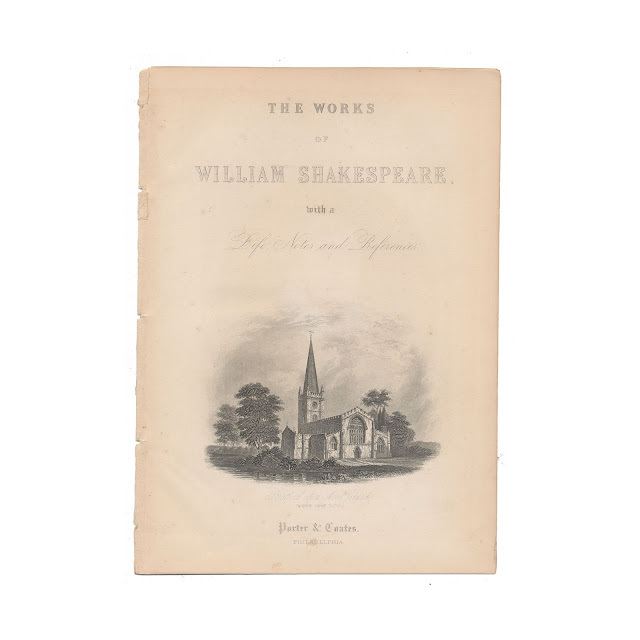 This print comes from a disbound copy of "The Works of William Shakespeare; with a Life, Notes and References." It was published by Porter and Coates circa 1876 and edited by George Long Duyckinck, It measures 6 inches by 9 inches. 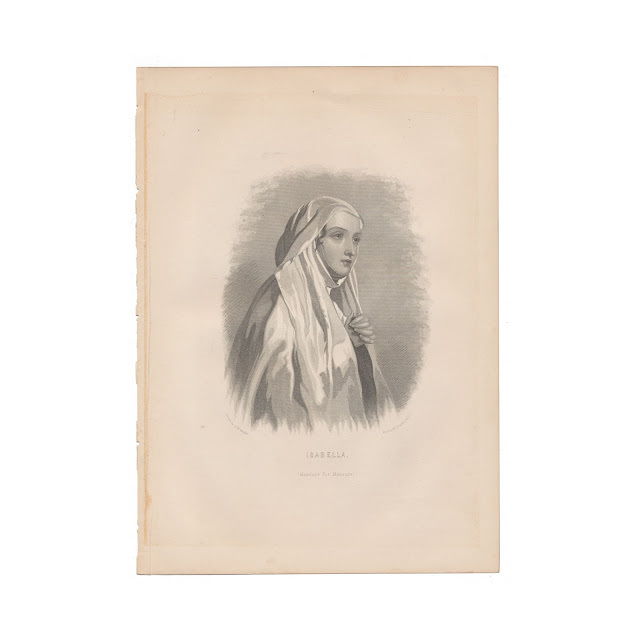 The print is portrait of Isabella from "Measure For Measure," engraved by W.G. Jackman, after a drawing by J.W. Wright. Paper shows some browning, rough edge where it was bound into the book. Light edgewear. Title page from the original book shown for informational purposes and is not included with the sale.